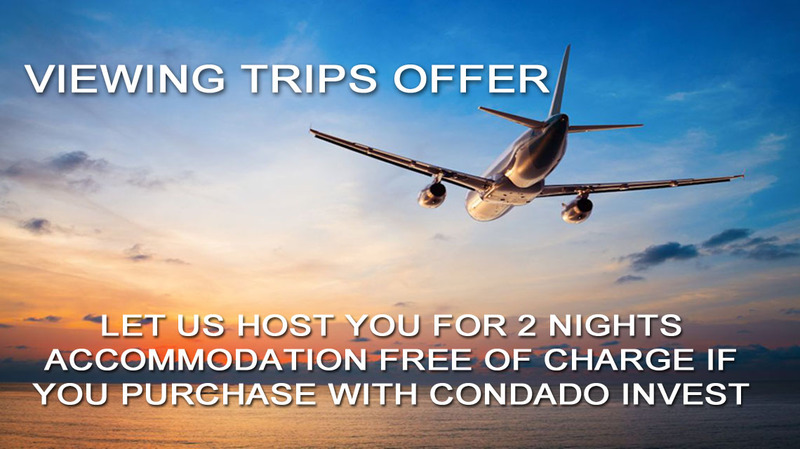 Let us host you with 2 nights accommodation FREE OF CHARGE when you purchase a property with Condado Invest. 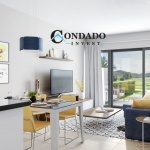 Take advantage of our special offer to stay in a lovely apartment for 2 nights on Condado de Alhama so that you can really get the feel of things before you decide to purchase your dream home in the sun. 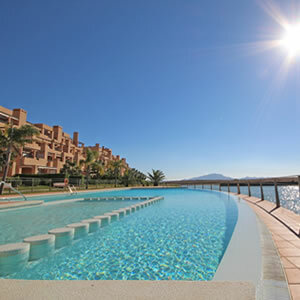 Relax in the sunshine and enjoy one of the many communal pools. Relax in the evening and take in the peace and tranquillity and the beautiful surroundings that Condado de Alhama has to offer. We know that you will be convinced that Condado de Alhama is for you! 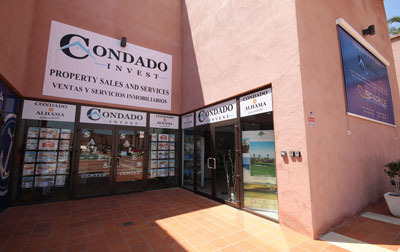 We will arrange an apartment for you to rent for 2 nights and if you then take advantage of our special customer care and the widest range of apartments on offer for Condado de Alhama, and finally decide to purchase with us at Condado Invest, we will refund you the cost of 2 nights accommodation with our partners Sparkle Vacations. 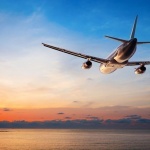 Let us take care of everything for you, we will select you an apartment in keeping with your requirements to view so that you can really get the feel of the kind of apartments you will be viewing with us. After spending time with us seeing all of the options, you can relax and take it all in with an apartment that is carefully selected to meet your needs and compare to the options you have seen with us. 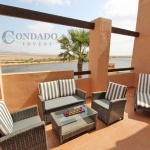 A non pressure but completely informative approach as always with Condado Invest – your on-site and dedicated specialists for Condado de Alhama.